Straight Outta Gallifrey is back! Warriors' Gate is the topic of episode 44. 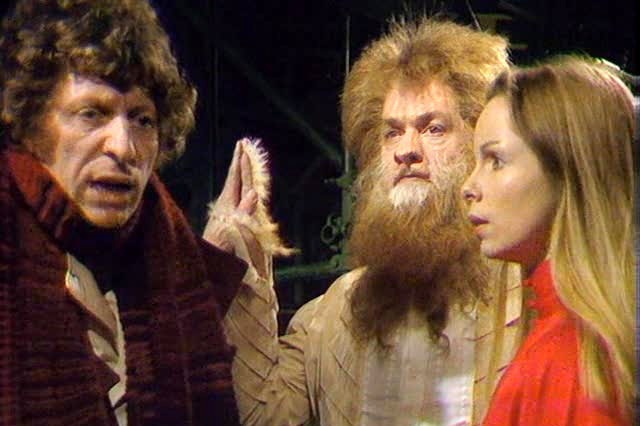 Unfortunately, this is good bye to Romana, as far as on screen appearances are concerned. The adventures of Romana will continue to be a topic of discussion with the Big Finish audio plays and beyond. Lalla Ward and Mary Tamm both deserve praise for breaking such new ground with playing the first returning, mainstay Time Lady. See Straight Outta Gallifrey's review of The Invasion of Time, where we discuss the first every on screen Time Lady. Now if evidence is ever revealed that Susan Foreman is more than just a Gallifreyan, but a Time Lord as well, we will go back and discuss the Susan stories.